Toronto's condo rental market is beginning to mimic its ultra tight resale housing market, with soaring demand, lack of supply and costs rising to record levels. The number of condo apartments rented through the Multiple Listing Service (MLS) system in the third quarter of 2016 dropped 9% from last year to a total of 7,651 units. The drop can be at least partly attributed to a 30% year-over-year decline in the number of new projects. This lack of availability is sending condo rents skyward, with the number of units renting for above asking price, more than doubling from a year ago. 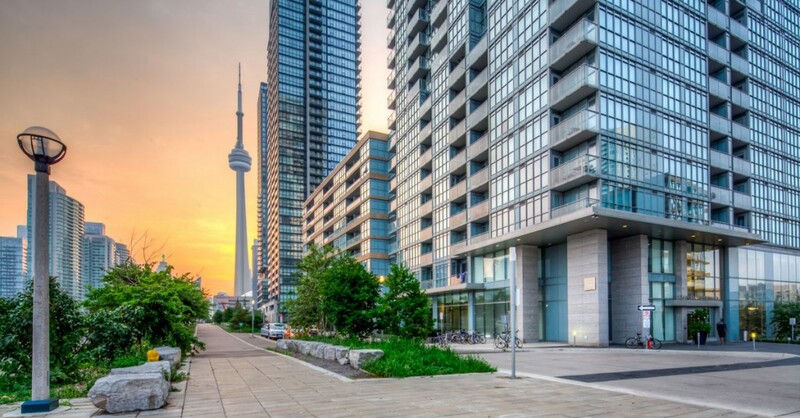 Overall in tht GTA, condo rents rose 9% in the third quarter compared to the same period last year, with the average condo now renting for $29.14 per square metre ($2.71 per square foot), or $1,986 per month. The rental market has become severely under supplied, which is likely to worsen following the latest round of mortgage insurance rule changes. Higher qualification standards for first-time buyers and reduced credit availability for investors should put even more pressure on the market. All insured mortgages must undergo a "stress test" that ensures a borrower's ability to make their mortgage payments at a higher interest rate. Borrowers will be tested against their ability to pay their mortgage if actual rates were as high as the big bank's five-year posted mortgage rates, which the Bank of Canada says currently average 4.64%. Condo rents in the old city of Toronto (not including the inner suburbs), which includes many of the high-rises downtown, are even higher than those in the broader GTA. In Toronto proper, the average rent rose 10% from last year to $2,145 per month.